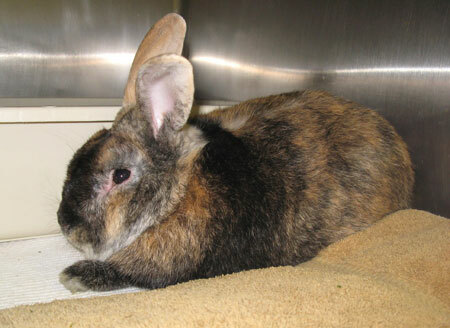 Clark Gable is part of the large group of 29 rabbits surrendered by one person at San Francisco Animal Care and Control. Despite neglect from his previous home is a really nice bunny who is just a little shy. He is a GORGEOUS, big bunny and warms up quickly to a kind-hearted person. He needs and deserves a safe, loving, indoor home to help put his troubles behind him and get a fresh start.